When it comes to e-commerce sites, design plays an important role, no matter what platform you use. The design of your website should make your site visually attractive. But the design must also direct potential customers through your site and help turn them into real buyers. Although there are many choices of e-commerce platformsavailable, BigCommerce always stands out and draws their attention to thedetail and dedication of creating eCommerce platforms designed for conversion. If customers can easily navigate your website, find the product they want, immediately add the product to their basket, and see all the important information before reaching the checkout page, you have a much better chance for their conversion. That’s why it’s important to spend time evaluating the design of your store and fixing it before investing in paid advertising. If not, then all visitors will leave your site without making a purchase, no matter how many visitors open your site. Every element on your site, from product images to navigation menus, all play a role in the visitor’s decision to buy your product or not. The following are the best BigCommerce web design tips to help your store attract and convert more visitors. Just because your store is online, does not mean you can arrange your product randomly. Think about the overall experience you want your customers to have when they visit your BigCommerce store. If you set your product into the right category, customers can easily see the various types of products you offer and find out which products are being sold. Keep a description of your product, prices are clearly labeled, and use a box layout to keep the entire page layout looking neat and orderly. Avoid placing too many products on your homepage or on one line, but it’s best to choose large images with fewer products. That will add more breathing space around each item. Your menu is one of the most important parts of your site. This helps customers open from one page to the next, emphasizing why the navigation menu is very important. Avoid adding too many links in the main menu and drop-down menus or mega menus that will allow you to have more links to various product categories on your website. There are other, far more effective ways to use the fly-out menu that appears on hover. There are times when your customers may have questions about a particular product or method of payment received. Make sure they can easily find your contact information and contact you. That way, you can answer their questions and help them arrive at the decision to buy. According to research, 61% of online buyers read customer reviews before buying a product. Customer reviews can help you increase sales and increase conversion rates. That is because prospective consumers will tend to buy if they see other people have been happy with the same product. In fact, adding customer reviews can increase your conversion ratio by 4.6%. Some of your customers or visitors might have thought of a product when they came to your site. If the product is not immediately visible on your homepage, the visitor will most likely look for it. Then if they don’t find a way to look for it, they will go to another site. Don’t leave this one point and hope visitors will use the navigation menu to look for it. One of the biggest differences between physical stores and online stores is the fact that online buyers cannot touch or try items to feel it. Instead, you have to depend on your product image to convey how the product actually looks in the picture. Images used on your site must be of high quality, withoutblurring that will damage perception. Consider creating a gallery of eachproduct so that visitors can view items from several angles and display them asthey are being used or are outdated. One of the biggest reasons why high basket abandonment is a long and complicated checkout process. Fortunately, BigCommerce has a checkout page built in and increases your conversions. Then you can make it easier for the visitors checkout experience by letting them visit as guests. Another way to simplify the checkout process is to request customer information only as needed, nothing more. If you sell digital goods, remove the part that asks for the shipping address because this is not needed. Another important tip to remember is to make sure that your store is optimized for mobile devices. Outside about having a responsive theme. This is about making sure your image is on a good scale on more screens. The effect will make it easier for customers to click on the correct part and fill it. 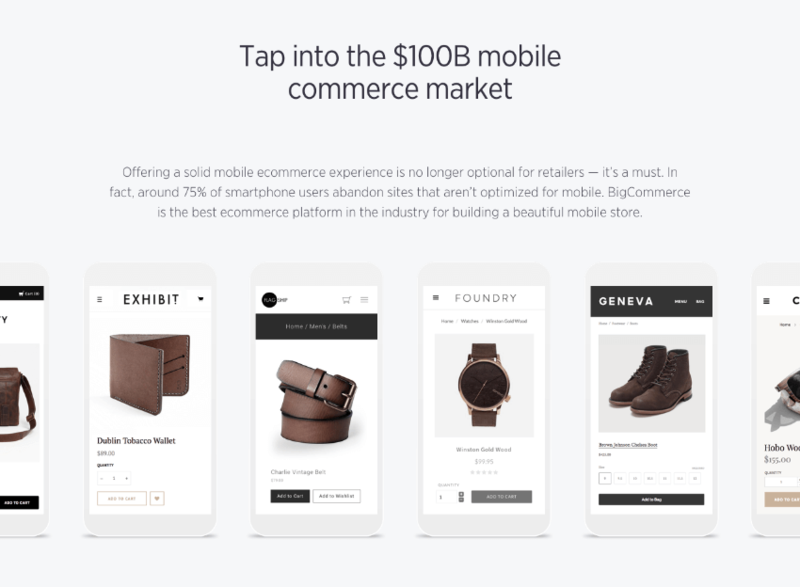 Take advantage of the built-in BigCommerce feature formobile shopping and add mobile payment solutions to your online store. Thiswill make it easier to pay for your product using PayPal One Touch or Apple Payand this can increase your conversion by 12%. 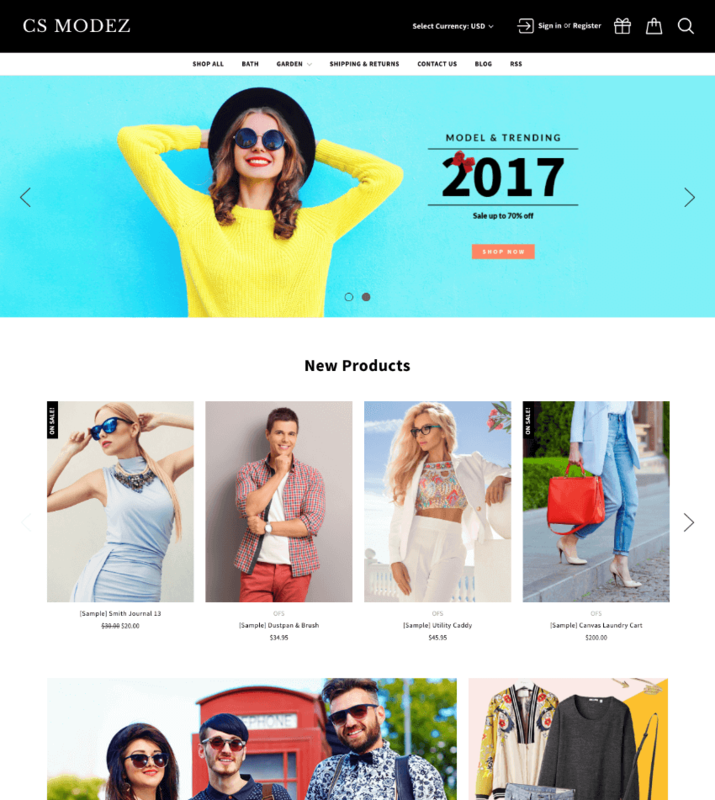 In accordance with the tips above, it is said that your theme does not have to be responsive but must also be designed with e-Commerce sites. 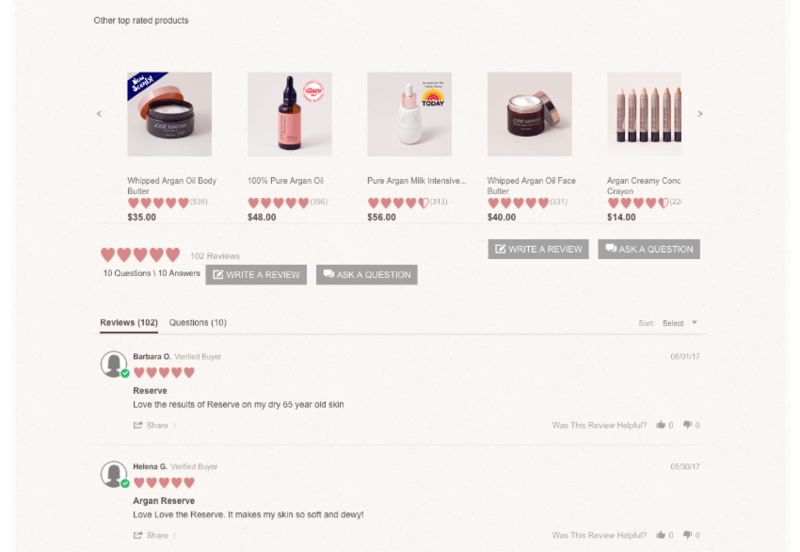 Fortunately, there will be no premium BigCommerce theme features that have all the full features needed: from the mega-menu to the product preview and filtering menu options. The best way to enhance the shopping experience for your customers is to enable product previews or quick displays. This allows them to immediately see descriptions, prices, images and other product information in the image that appears by simply clicking on any product. 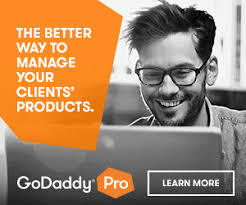 They do not need to click on the product page which can save their time, especially if they are in a hurry and want to immediately see what you have to offer. The Carolina Panthers website does a very good job with aquick view feature. Not only can you see the size and price of the productthrough magnification of the image, you can also immediately add the product toyour basket. Once your visitors have spent some time browsing your store and are ready to buy, they want to know the shipping and return policies for their products. If you don’t give them an easy way to find that information, they may give up when making a purchase, especially if you make it difficult for them to contact you. Complete this problem by placing a link in the main navigation menu to direct them to a page that explains where you will send, what shipping method to use, and how you process the return. As an alternative, and materials consider creating and displaying an FAQ page that answers frequently asked questions. Another study shows that shipping costs that are displayed late are a big factor that contributes to the high rate of abandonment of baskets. Instead of displaying it at the very end, make sure your customers can see the shipping costs calculated to the final price of the product itself. You can also add a shipping calculator under the product to give customers choices in calculating the final cost before going to the checkout page. With this, they will prepare the cost according to the estimation once they check out and avoid unpleasant cost surprises. If you want to make sure your store stands out from your competitors, make sure to include elements of brand branding on your website. Start by adding a favicon and your store logo so that your customers can immediately recognize your site in their bookmarks section or on social media. Add the main colors to the elements such as the navigationmenu, buttons, and links so that the display and nuances remain consistent.Seeing the elements of your brand throughout your store will help build trustin your customers. The most important element on your site is the “Add to Basket” or “Buy Now” button. It must be visible and easily distinguishable from other elements. The button design needs extra attention because a better design will convert more sales. Use contrasting colors that will help the buttons stand out. Also, make sure the size is large enough on all display sizes so that your mobile shopper can click on the button without needing to zoom or pinching. Besides being useful for other time-saving activities that will enhance your shopping experience, it allows your customers to filter in your product search, especially when it comes to size or color. Even filtering through these types of products is the best way to help them save time and easily find the products they want. This will help you eliminate the frustration of knowing which products are not available in the desired size or color after they decide to buy them and are ready to checkout. Almost all BigCommerce themes come with product filtering options so all you have to do is choose the one that suits your store’s aesthetics. People can feel hesitant when buying goods online. One of their biggest concerns is whether they can trust your site with sensitive information. You can directly increase customer confidence by adding a seal of confidence to your website. That will help ensure that all customer transactions areprocessed safely both with credit cards and individual information, and it iscertain that they will not arrive or be easily hacked by irresponsibleindividuals we call hackers or fraudsters. From the Logo which is definitely afamiliar and peace-oriented brand like TrustE, McAfee Secure, TrustE, VeriSign,or the Better Business Bureau are often used on eCommerce websites to increaseyour customers’ trust. The Man’s chest will display it in the footer of eachpage. When it comes to duplicating your site, it’s important to share information, but remember that your customers won’t listen to the whole text page. Instead, focus on using short paragraphs and bullets points to highlight the most important features of the product. This will create your individual product pages that look more unique and allow customers to catch up on price information quickly. 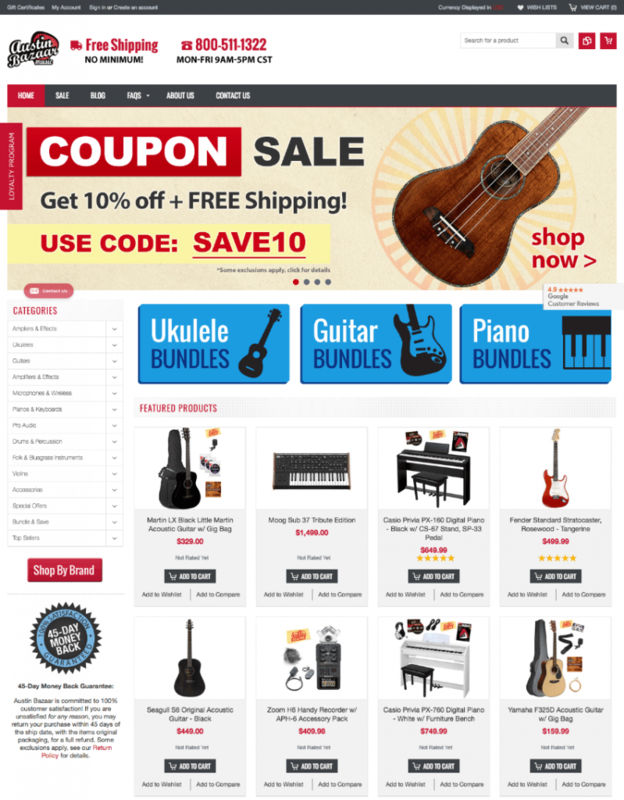 Great web design BigCommerce is very urgent to process visitors into buyers. This helps you build customer brand and confidence. In addition, it also helps customers have experience making purchases that are seamless on your site for all time. 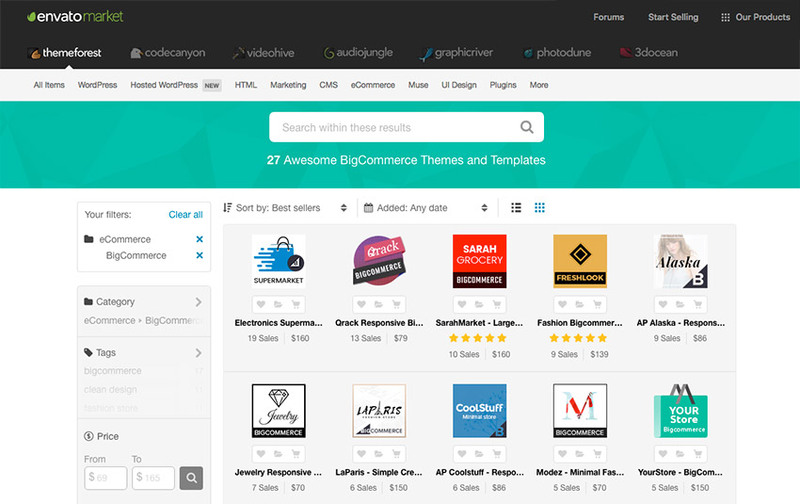 Use the BigCommerce design tips above to fix your eCommerce store and make sure to check our BigCommerce theme selection if you are just starting the online shop preparation. Good luck! If you want to start in the world of web design, there are a number of urgent capabilities that we must master. First, you need knowledge about how the code on an HTML page works. Then, you must be able to apply CSS to create the visual effects we want, whether it’s a particular layout, typography, or also color and background. Fortunately, Envato Tuts + instructor Kezz Bracey has collected a series of beginner-use learning that summarizes all topics in depth, giving you a powerful base from which to develop web design skills to become more proficient. The following is the order of learning and what you can learn. The first step is very important for beginners to become a web designer is obligatory to learn HTML programming. After you finish learning it, you will know about HTML, starting from the working technique, and how to use elements that are very common. we will start from an empty page to get the full usage, about the basis for coding a page. That business will give you the basic foundation on which all of your next designs can be built. If we are a beginner web designer and we must be ready to learn CSS, let’s learn with us! If there is one type of styling that can be said to be more urgent than the others in web design, that’s typography. Ideally, your website should be opened with strong typography, and the rest of the design must be built near it. For this argument, it is urgent to know the typography section of the process of initiating the design. Now that you have learned the importance of typography in “Begin from Here” learning before, we are ready to move to the next fundamental element of web design: layout. In this lesson you will learn all you need to know to create a very common type of layout from web design. In your learning, “Start here” this time. You will be able to give something new to the site that you made before using the CSS color and background. In this lesson you will learn all about visual tips that create sites that stand out from others, and bring “design” into web design. You can take not a little learning about the web design that you want if you register for a free 10-day Biandel monthly subscription experiment. so start now and build a powerful foundation where you can bring your design web work to the next level. Don’t miss our latest information and promotions!